4 pieces beltec slick tires "BELTEC 7N" (NEO Compound). 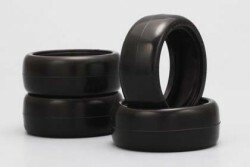 This is an on-road slick tire for optimum control, such as race. NEO Compound: medium to high temperature, long life.